As of 2008, the United States was criss-crossed by more than 305,000 miles of natural gas pipelines, and since then this figure has risen steadily. 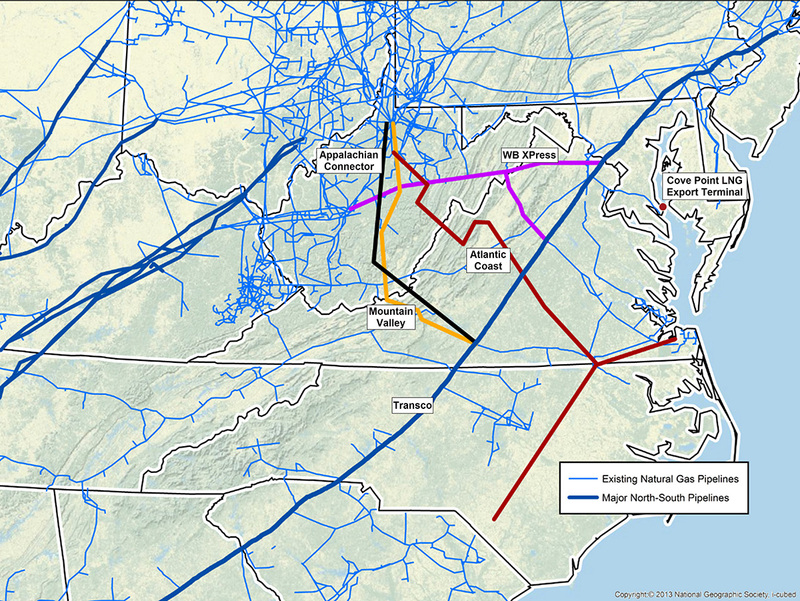 In central and southern Appalachia, a web of pipelines invades the landscape, linking the drilling wells from shale country to state and regional pipelines, storage facilities, power plants and coastal ports for export. 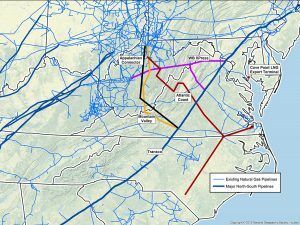 Nevertheless, energy companies such as Dominion and Duke Energy have submitted plans to build even more pipelines across the region. Two projects — the Atlantic Coast and Mountain Valley Pipelines — are under review by the Federal Energy Regulatory Commission. And citizen groups, environmental advocates and economic experts are raising questions about whether this expansion is needed. Join our webinar, featuring a panel of experts, and find out more about the proposed expansion natural gas infrastructure in Appalachia. Our speakers will provide information about the expected costs of these projects, both financial and environmental, and discuss the impact they would have on local communities and landscapes. They will also be available to answer your questions in this live presentation! 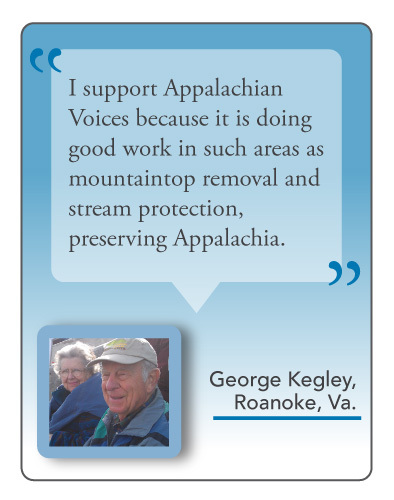 Lewis Freeman is the chair and executive director of the Allegheny-Blue Ridge Alliance, a coalition of organizations concerned about the proposed pipeline expansions in Virginia and West Virginia. Anita Puckett is the director of the Appalachian Studies program at Virginia Tech. She has been involved in environmental issues of the region for more than thirty years. Cathy Kunkel is an energy analyst for the Institute for Energy Economics and Financial Analysis and co-author of study on the the finances of the Atlantic Coast and Mountain Valley pipelines within the larger context of natural gas infrastructure. Hannah Wiegard is the Virginia Campaign Coordinator for Appalachian Voices, a regional nonprofit focused on economic and environmental issues in central and southern Appalachia. And for more information about the Natural Gas Infrastructure in Appalachia, read “What’s Coming Down the Pipeline?” from the April/May issue of The Appalachian Voice and read more about fracking here.